It’s not the box society puts us in that limits who we become, it’s the box we put ourselves in. There’s no secret to success. No magic bullet. No pixie dust. Success in any endeavor is about doing the work, every day and not running for cover when things get hard. Because they always will. Even when it’s right. Taking fierce, consistent action, though, is easier said than done. Especially when that action potentially exposes you to failure, or being judged or ridiculed, or cast out of a family or group or community. So our “seemingly” rational brains assume into existence all sorts of reasons not to act. 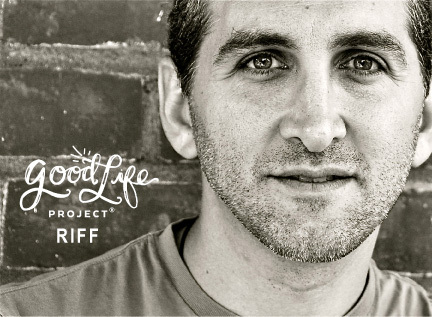 This week’s Good Life Project Riff is the first in a series about the lies we tell ourselves that keep us from doing great work and living extraordinary lives. With each new offering in the series, we’ll do a bit of myth-busting and box-breaking, then offer something to do. Sometimes, multiple things. Sure, there are some people for whom this claim is legit. But as you’re about to discover in this week’s Riff, that person is likely not you. And, not to worry, we won’t leave hanging. Jonathan will also share 4 key elements to reclaiming time and turning time into an ally in your quest to live an extraordinary life. Camp GLP is coming soon. Have you reserved your spot yet?